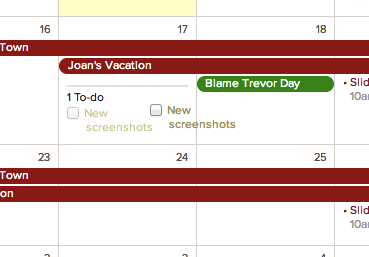 The Basecamp 2 calendar is great for keeping everyone on the same page. 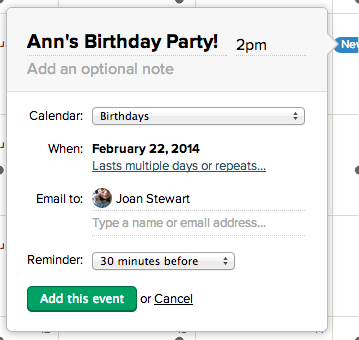 Create events to make sure everyone knows what's coming up! Choose which calendar or project you want to add an event to – then in your calendar, click on the date the event will occur. You can make this event last more than one day. The calendar doesn't support event durations, so to indicate the end time of an event, add it in the Note field or to the title of the event. You can also add a new event from the "Events" page of your project. This will take you to the project's calendar. Sometimes events last a few days. To schedule a multiday event, just enter the start date and end date. Basecamp will create a span over those days. 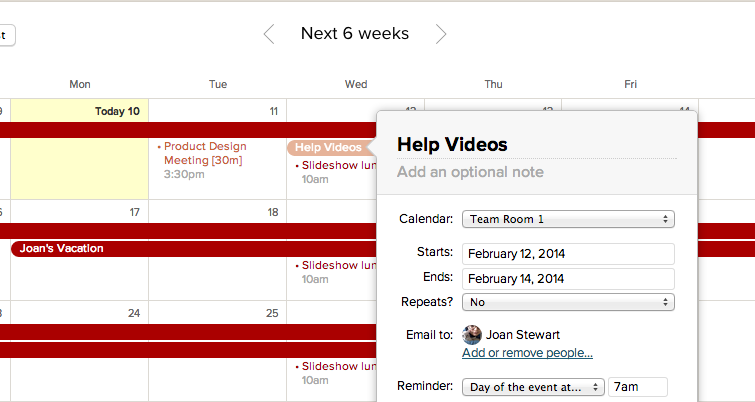 You can use multiday events to plan project phases, and create DIY Gantt charts. 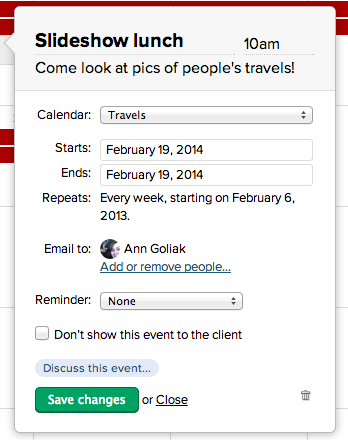 You can add recurring events to your projects and calendars! If something comes up and you need to adjust the date or time of your event or to-do, changing it in the calendar couldn't be easier! Click, hold and drag your event to its new day. To edit the event, click on the title. The pop-up will let you change the event details, and even move the event between calendars. To delete the event, click the trash can icon in the bottom right corner. Anyone with access to a calendar or project can delete events on that calendar. Admins can restore items from the trash.